Dr. Miller graduated from Union College before attending medical school at UMDNJ-Rutgers Medical School. 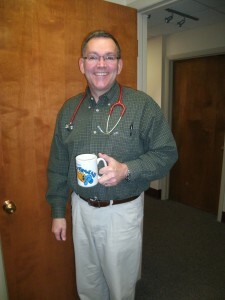 He completed a Residency and Chief Residency in Pediatrics at The Children’s Hospital at Albany Medical Center. Prior to going into practice with his wife (Dr. Elmer) he was a Pediatrician with Community Health Plan/Kaiser Permanente. Dr. Miller is a member of the American Academy of Pediatrics.